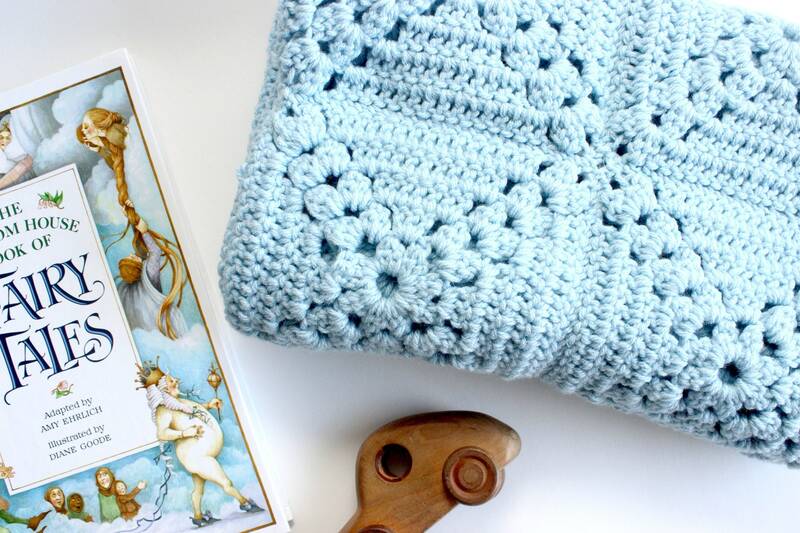 Lovely hand knit baby blanket. 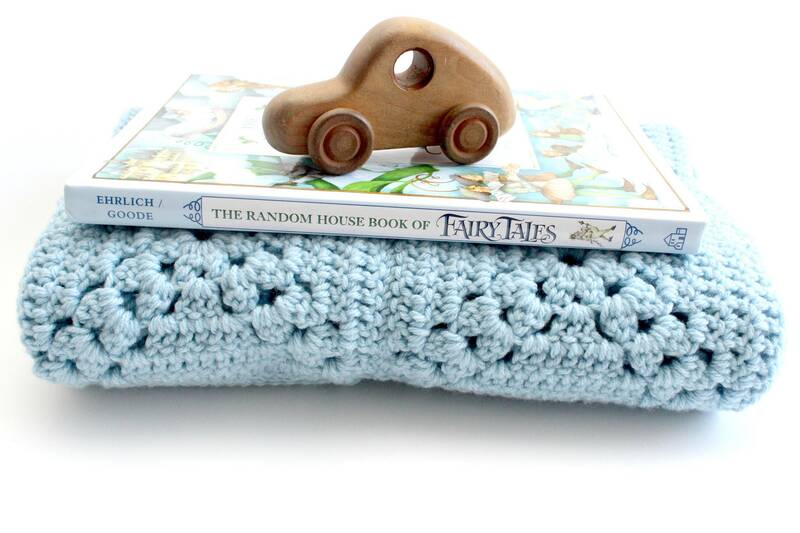 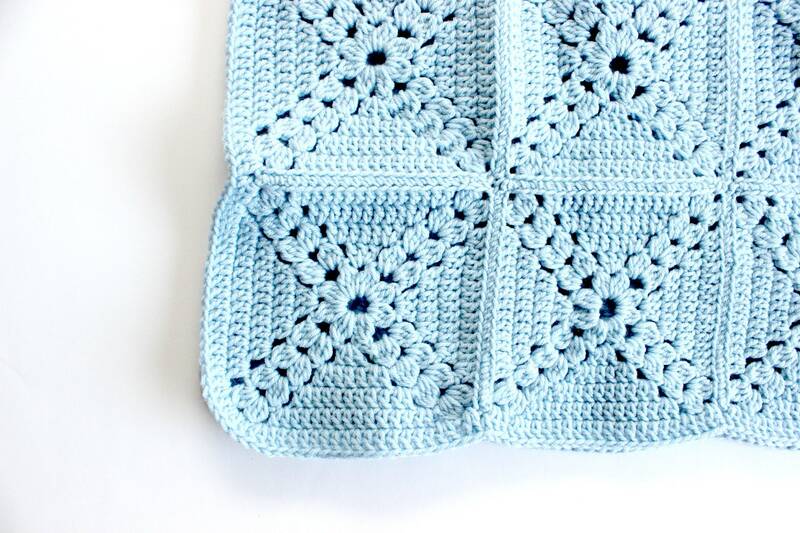 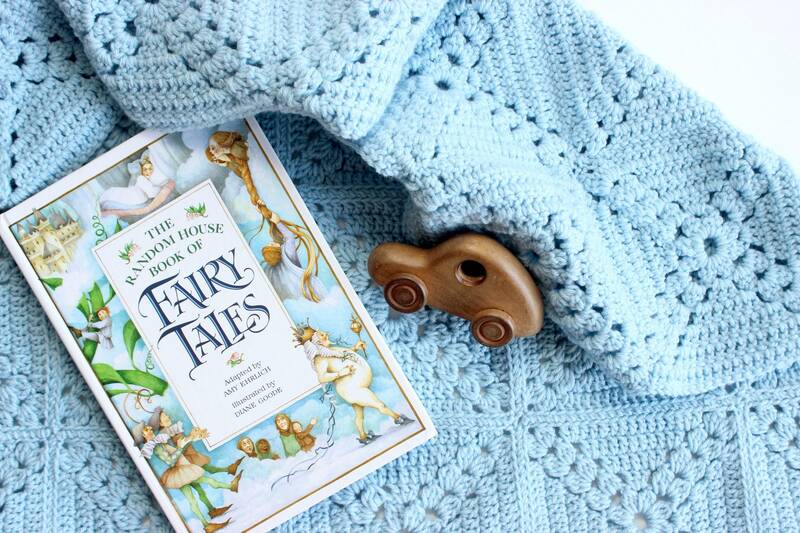 Small light blue blanket perfect for a baby or nursery. 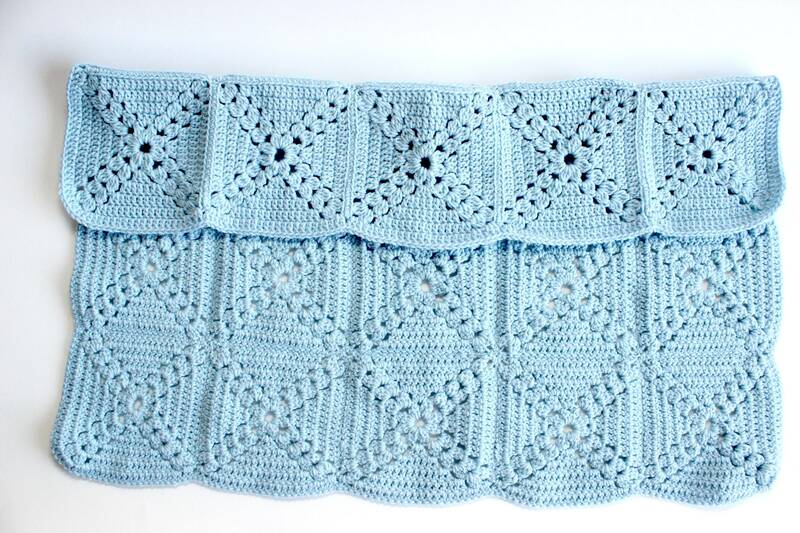 Beautiful pattern and softly scalloped around the edges. 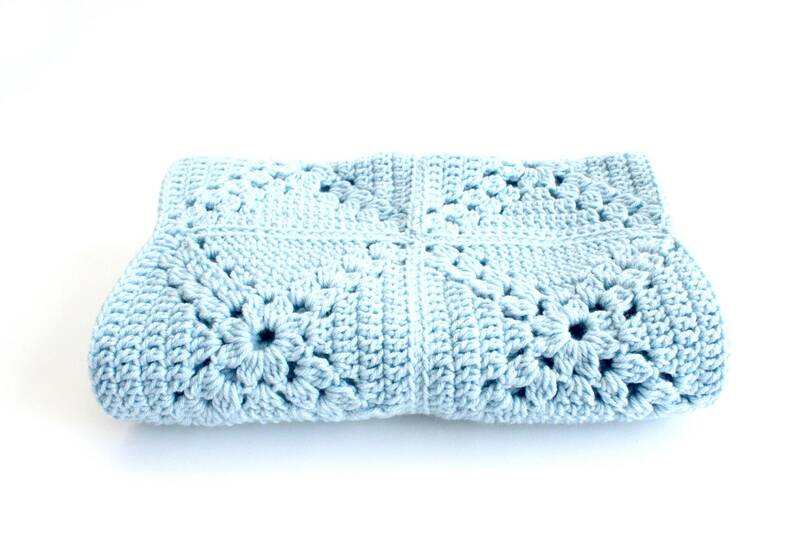 This throw blanket has a nice thickness and would make a great changing pad. 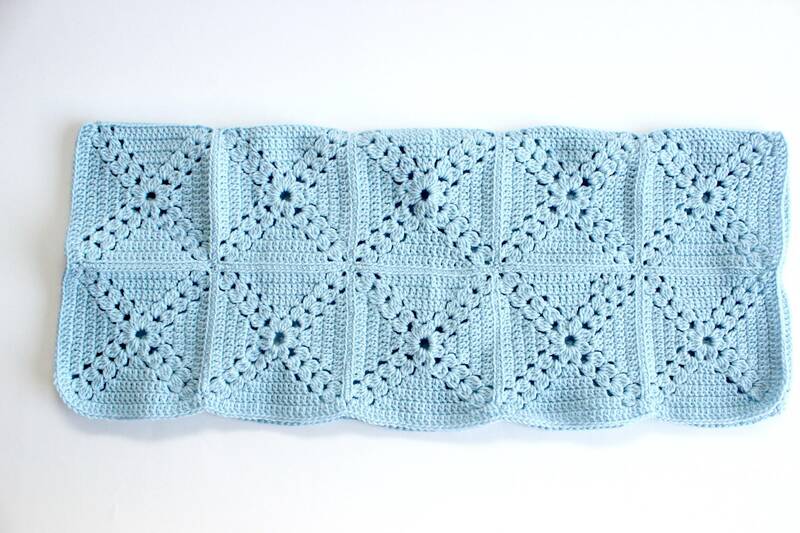 Measures 34 inches long and 27 inches wide.